The divorce attorneys at Elder Brinkman Law remain committed to providing clients with the best advice, support and representation available — no matter how complex the situation. As such, we have compiled some introductory information and answers to some frequently asked questions. Below you will find detailed information and advice that will help you to more easily understand and participate in your case. While you should not treat this information as legal advice, the facts below will help you take the first step before calling a divorce attorney from Elder Brinkman Law to further assist you in determining your options. Is Divorce My Only Option? What Constitutes Grounds for a Divorce? What Are the Divorce Residence Requirements? How Will My Spouse be Contacted? What is Involved in Filing an Answer? Should I File a Temporary Restraining Order? What is Friend of the Court Conciliation or Temporary Order? What is the Friend of the Court Referee Process? How Do I Handle Discovery and Trial Preparation? When are Settlement Discussions or Property Division? In Michigan, there are three ways to end a marriage: annulment, separate maintenance and divorce. Michigan does not have what is referred to as a ‘legal separation.’ An annulment is a request for a court to find that a marriage never did exist because of a fraud or legal impossibility or irregularity, such as bigamy or an underage partner. An annulment is not granted merely because the marriage is of short duration, although often times the parties can stipulate to an annulment where the marriage is short and there are not assets. A judgment of separate maintenance is procedurally the same as a divorce except that the marriage is not severed. Generally a judgment of separate maintenance is used for religious purposes, or in some cases to preserve medical benefits. What Constitutes Grounds for Divorce? You or your spouse must live in Michigan for at least 180 days and in the county in which you file for at least 10 days prior to filing. These requirements are not necessary for other types of actions, such as a custody case or child support case, and sometimes, if the 6-month period cannot be met, another action can be filed to obtain necessary court orders, and that case can be merged into a divorce action later on. One of the spouses must be the first to file. While the first to file will be referred to as the Plaintiff, in most cases there is no advantage to being either plaintiff or defendant other than getting the action started. The plaintiff files a Complaint for Divorce. This document usually contains the information necessary to establish the legal grounds for the divorce. It is not necessary to know exactly what you are asking for as far as custody, support or property division at the time the complaint is filed. Our Grand Rapids divorce lawyers will prepare your initial pleadings promptly in order to expedite the process. Once the divorce is filed, the other party must be notified. This is called ‘service.’ The preferred method is to allow the other party to accept service to avoid the embarrassment of being served by a process server at work. If the other party will cooperate and sign an acceptance that they have received the papers, they do not have to be served by a process server. By signing the acceptance of service all that they are acknowledging is that they have received the initial divorce papers and they are aware that a divorce action is pending. It does not mean that they have agreed to anything that the other party is claiming to be true in the Complaint, and they have not waived any rights to any legal position or argument. Accepting service, as opposed to being formally served, usually will allow the divorce process to start in a less acrimonious manner, and smooth the way for constructive settlement and resolution of outstanding issues. The party who accepts service or is formally served receives a summons, which notifies them that they have 21 days to file an answer. Filing an answer prevents a default from being entered against that party. Often times an order to prevent the disposition of assets is filed at the same time a Complaint for Divorce if filed. These orders are mutual and prevent the disposition or sale of marital assets while the Divorce is pending, while allowing the parties to carry on the everyday required payment of bills. Also, shortly after the divorce is filed, if you have minor children, the Friend of the Court will schedule a conciliation conference and meet with both parties — usually without attorneys present. This is an informal, yet critical stage of the custody process. It is very important that you are thoroughly prepared before attending this meeting, and our Grand Rapids divorce lawyers will take the time to meet with you and make sure that you are prepared for this critical stage. If both parties agree at conciliation, the Friend of the Court will prepare a ‘stipulated’ or agreed upon order. However, you do not have to agree or feel pressured to agree to anything. If the parties are unable to reach an agreement, the Friend of the Court conciliator — based upon the information received at this meeting — will prepare a temporary order. Either party, or both, may file a timely objection to the order, but the order stays in place until either the Friend of the Court referee or judge revises it. If either or both parties file an objection to the conciliator’s order, the matter is scheduled for a de novo hearing, usually before the referee, but in some instances it goes directly to the judge. It is important to know who your judge is, and how these procedures vary from judge to judge and county to county. Our divorce lawyers will provide you with specific information relative to the judge assigned to your case. Generally, a Friend of the Court referee (an attorney, not a judge) will hear the case at a ‘de novo’ hearing. This is a hearing that hears the case ‘brand new’ and nothing from the prior conciliation conference will hold over or direct the findings of the referee. This is a formal hearing, compared to the prior conciliation conference, and attorneys are usually involved at this point, and witnesses and evidence are presented to the referee in the same fashion that evidence is presented before a judge at a trial. The parties are usually called to testify after they have been sworn, and they are subject to direct and cross-examination. Often discovery will need to be done prior to the hearing so that the case can be properly developed and presented to the Referee. 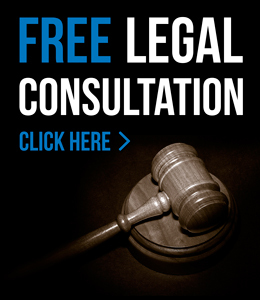 It cannot be stressed enough that this is a very critical and legally complex stage, and having one of our Grand Rapids divorce attorneys represent you is highly recommended. It is important to present your case thoroughly at this hearing as judges are allowed to rely solely upon this record when making their custody findings, and they are not required to hold the hearing all over again. The Friend of the Court referee will issue an order at the conclusion of the hearing (the hearing may take several days) and that order supersedes the prior order resulting from conciliation. This order continues in effect until set aside or modified by the judge. Often while the issue of temporary custody is being heard before the Friend of the Court Referee or the judge, discovery requests, either formal or informal will be underway. It is important in developing your case that your attorney knows what information is needed and knows how to gather that information. The divorce attorneys at Tanis Schultz are experienced in discovering assets and income, valuing property, and presenting a divorce settlement based upon the most up to date and current case law. Often times one spouse is more in control of the financial aspects of the marriage than the other, and this can be a frightening prospect for the spouse who has been ‘kept in the dark,’ or has simply been busy attending to other aspects of the marriage such as taking care of the children. For the spouse who does not have an in depth knowledge of the financial aspects of the marriage, it is especially important that he or she have an experienced attorney that can obtain this information. There are many different discovery tools available to find this information, ranging from formal discovery requests to informal discovery requests. The type of discovery needed depends on the specific circumstances of the case. Our office is committed to doing exactly the type of discovery needed. The purpose of discovery is for each party to find out information about the other party or about the financial aspects of the marriage. That information can be obtained through subpoenas, interrogatories, depositions, sworn affidavits, and requests for production of certain documents and admissions. Depending upon the complexity of the case, some or all of these methods may be used. Once the information is obtained, the parties will then try to negotiate a settlement. In any property discussion, there are three general steps to follow. The first is to identify the assets and liabilities, which is done through the discovery process discussed above. The next is to value the assets, which may require appraisals, such as real estate or personal property appraisals or pension evaluations. The third step is to divide the assets, which may require the sale of assets; offset of assets such as trading a pension for the equity in the home; or requiring one party to “buy out” the other party’s interest in the asset. Generally it is at this stage that the discussion becomes emotionally charged. Having a divorce attorney act as a go between in order to facilitate the early settlement discussion helps keep the discussion on point and reduces the tendency of the parties to digress into other emotional issues. Many times with two experienced divorce attorneys the case can be settled by exchanging information and settlement offers back and forth. If the parties are not able with the assistance of their attorneys to settle the case at this stage, mediation is often used as the next step. If you have further questions regarding divorce or if you are ready to get legal advice about your specific case, contact the Dearborn divorce attorneys at Elder Brinkman or call our office today at 313.582.5800.